Spring is my favorite time of year—and not just because I welcome the thaw after winter. Summertime produce may be best, but spring’s seasonal foods are the ones I look forward to for months: fresh stalks of asparagus, the first rhubarb desserts and big filets of flaky halibut. You’ll want to spend plenty of this month cooking at home, but when you’re tired of that, head out and hit up these new restaurants and April food events. Gorge yourself on cheap tacos. My neighborhood Mexian joint is Rosita’s near Green Lake, and I’m so addicted to their salsa verde that I’ve started buying it by the tub to keep in my fridge at home. 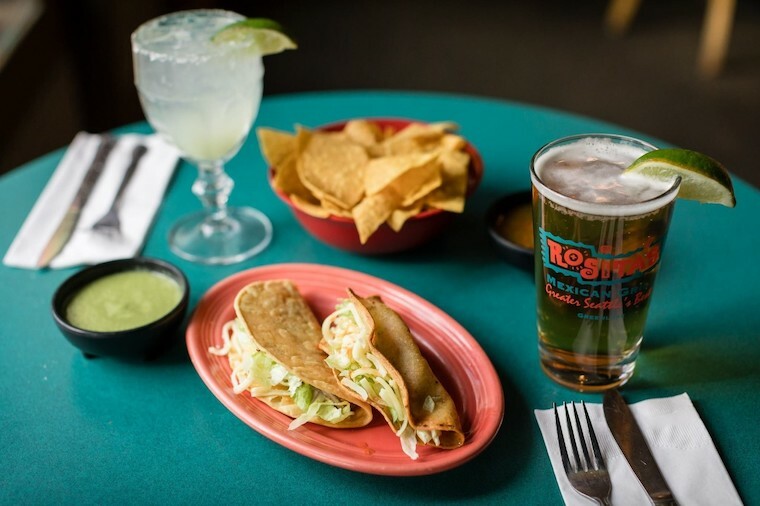 On April 9, Rosita’s will celebrate the 40th anniversary of its opening date by rolling back to 1979 pricing: $1 crunchy tacos and $3 margaritas from 11:30am to 10pm. Go, eat tacos, congratulate the owners on making it 40 years in a business that many don’t last 40 weeks. Behold the new home of deep dish. It’s been months in the making, but Windy City Pie—everyone’s favorite Chicago-style deep dish pizza—finally has a new home, in the space near the zoo formerly occupied by Phinney Market Pub & Eatery. (By the way, I, and every other parent I know, loved that place for the train table alone. RIP.) Look for a menu that highlights the huge pies with caramelized cheese crust—with just enough salads to make you feel virtuous. Also: cocktails! This is perhaps my favorite quirky event of the year: The Edible Book Festival is back, April 6, at the Lake Forest Park Town Center Commons. Youth and adult contestants make edible art inspired by literature; participants get to enjoy a slice after. The punnier the better. Seattle Restaurant Week isn’t the time to go hit up your favorite high-end restaurant, but it’s a great opportunity to go somewhere you’ve been meaning to try. From Sunday through Thursday, April 7 through 18, grab three courses for $35 at more than 165 participating restaurants, including some of our favorites from the last year: Alcove, Seaplane, Sawyer, Aerlume, Central Smoke and more. It’s been over a year since the guys behind Phorale closed their much-hyped pan-Asian South Park minimart food stand. Now, they’re back—in food truck form. Some fan favorites will be making a triumphant return (here’s hoping for the signature curly fries we loved back in 2017). Follow along on Facebook for exact locations.